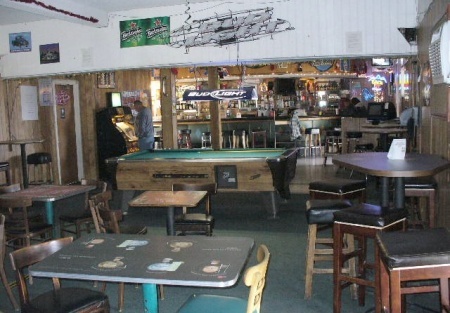 Open since 2004 this crowded neighborhood sports bar is located in a strip center with plenty of parking. Customers enjoy a big screen TV, drinks and dinning, or simply play pool while listening to the juke box music. There is a 600 Sq. Ft. outside patio for the smokers, helping generate more sales. The juke box and video games are not owned but are revenue shared with a third party saving the owner the initial capital costs along with maintenance costs. There are about 2000sq/ft. The kitchen has a hood system, refrigerator and grill ready to cooks Mexican or American food. Base rent is $2431 a month. The lease expires in 10-30-2008 plus 5 years option. The seller claims the monthly gross is $26,000 a month. Seller wants to retire and start traveling. Don't miss this rare sports bar opportunity if you want to become business owner. Seller will finances up to 50% of the asking price to qualify buyers. Please click any links below to obtain business name and address to drive by the location. This is a Paramount Restaurant Brokers, Inc. DBA SellingRestaurants.com listing. Sports Bar Serving Food too! Parking with easy and convenient access. Excellent location with affordable rent. Base rent is $2,431 a month for approximated 2000sq/ft facility. Gross income is approximated $26,000 a month. Seller will finance up to 50% to qualified buyers. Please register now to become our prefer buyers. The processing is simple, easy and no credit card require. You will receive more free information from us.